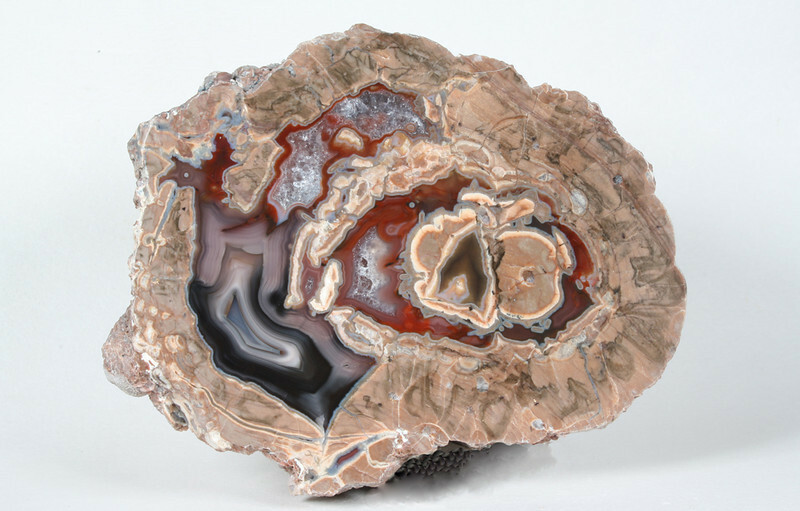 The mine, now near closing, has prouced the finest agates known from this type of deposit. The rich, vibrant and varied colors and endless variety of patterns are unmatched. Not only that but the mine was in operation over a span of fifteen years, most thunderegg deposits are tiny by comparison. I have the good fortune to live in the adjoining state and knowing all the principals. I've had the pleasure of supplying collectors with many very fine Baker Eggs, the pieces here are ones I've recently sold.